The sophistication of mapping functionality is now exponentially more powerful with QlikView and Qlik Sense. Qlik started 2017 by acquiring a leading technology partner, Idevio, in this market sector. GINQO has GIS expertise to assist with your implementation of sophisticated geographic analysis. A heatmap can be used to display the average number of employees in the area. Highlight an area and drill down into a specific location or area. With Qlik GeoAnalytics, access to information is clear and immediate. The geographic dimension, easily understandable by all, plays an essential role in modern decision-making systems. 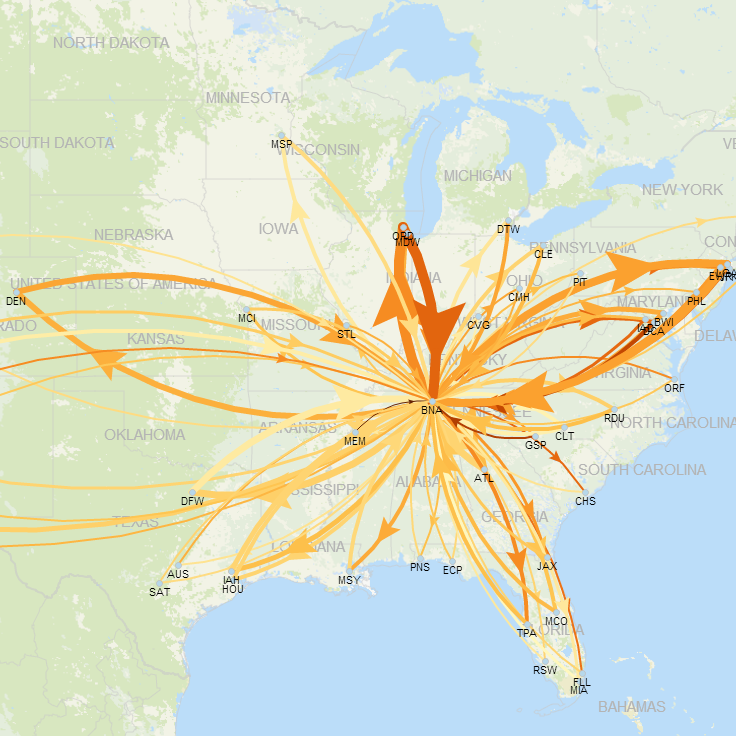 This screenshot shows an example of how Qlik GeoAnalytics with a Line Layer could be used to display Flights in the US as well as their average departure delay.